Jaffe Report: Time to Free D.C. From Federal Taxes? Time to free D.C.! Not from Congress. Nor from the White House. Nor from federal control of the courts. With Donald Trump about to take up residence at 1600 Pennsylvania Avenue, the time is ripe to free residents of the District from federal taxes. The new president could propose a tax-free D.C. in his first 100 days. It wouldn’t be the craziest thing Donald Trump has said, from his denial of global warming or his diatribes on immigration or his railing against all environmental regulations. But on tax incentives for inner cities, he might not be so off base. There’s precedent in Republican politics, even in D.C. (more on that in a moment). And freeing the District from taxes fits perfectly with the president elect’s plan to revitalize urban areas. And it’s a simple fix. From many reports, Donald Trump is drawn to quick and dirty solutions, as opposed to drawn-out policy procedures. President Trump could even pitch it as a bipartisan approach to solve problems in urban areas. Both parties have proposed similar ideas before. Way back in 1990 Jesse Jackson and then-Mayor Marion Barry asked then-Delegate Walter Fauntroy to introduce a House bill that would exempt District residents from federal income tax. Fauntroy turned them down. Five years later, legendary former GOP congressman Jack Kemp advocated exempting District residents from federal taxes as a stimulus for low-income residents. Kemp, who later ran for vice president, was devoted to the District and the well-being of American cities. In 2000 Delegate Eleanor Holmes Norton introduced legislation to exempt D.C. residents from paying federal taxes, until the District got full voting rights in the House and Senate. “We put the same demand on Congress that the founders of our nation put to King George: ‘Give us our vote, or give us our taxes,’” Norton said when she introduced her bill. In 2014 the Internal Revenue Service said it collected $26.4 billion from D.C residents. In fact, those numbers show one reason that my incredible idea is unlikely to fly – the District just isn’t as desperate for a middle class as it was back in the day when Barry proposed the idea. Norton introduced her 2000 bill to make a point, and she later withdrew it. Now she’s less dead set against removing federal taxes because the government might reduce services in exchange. "With the elimination of some of its federal funds, the District would almost surely be compelled to raise local taxes in order to pay for many benefits and services provided by federal funds today," Norton says. Plus: "Many D.C. residents have expressed the view that an exemption from federal income taxes would draw an entirely new, ultra-rich demographic to the District, pushing out even more residents due to an increase in the cost of living, especially housing." Council member Jack Evans, chairman of the finance committee, likes the idea of as tax free D.C. but agrees it would pack the nation's capital with the rich. They, of course, could pay more in local taxes which could in turn increase affordable housing. Why not go all the way and lift the federal tax burden? Imagine how many companies and wealthy individuals would settle in the District. They could generate billions in local taxes, too. 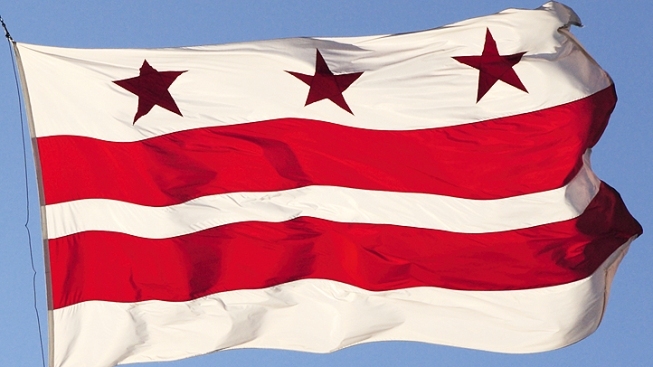 Let's be honest about statehood and full voting rights in Congress. Despite all the fine rhetoric, good intentions and the vote for the statehood referendum, neither will get any traction with Trump in the White House and Republicans controlling both House and Senate. Let's accept this reality and make a trade: keep you vote, we keep our taxes. President Trump would also have a personal reason to make the District a federal tax free zone. His flagship Trump Hotel on Pennsylvania Avenue would be assured of success in a town where wealthy individuals and corporations set up shop. Plus, the president wouldn't have to change his tax habits. He hasn’t paid federal taxes in decades.